Di Bruno Bros Eat Like a Cheesemonger Club Review over the years, and what Di Bruno Bros offers with their “Eat Like A Cheesemonger” club is quite unique. 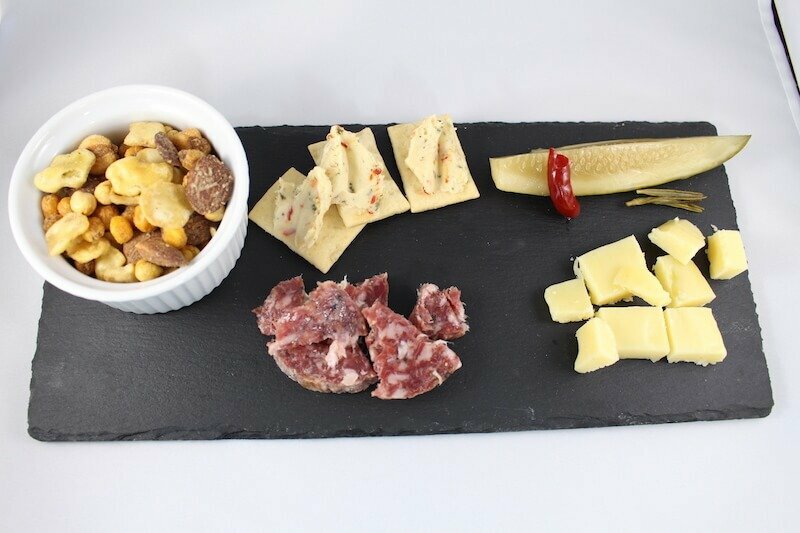 Not only will you get a selection of delicious cheeses each month, you also get artisanal snack pairings to better enjoy your cheese. Keep reading for details about what I got in each package, how it tasted, and if I think this club is worth joining versus other monthly food/snack clubs out there. 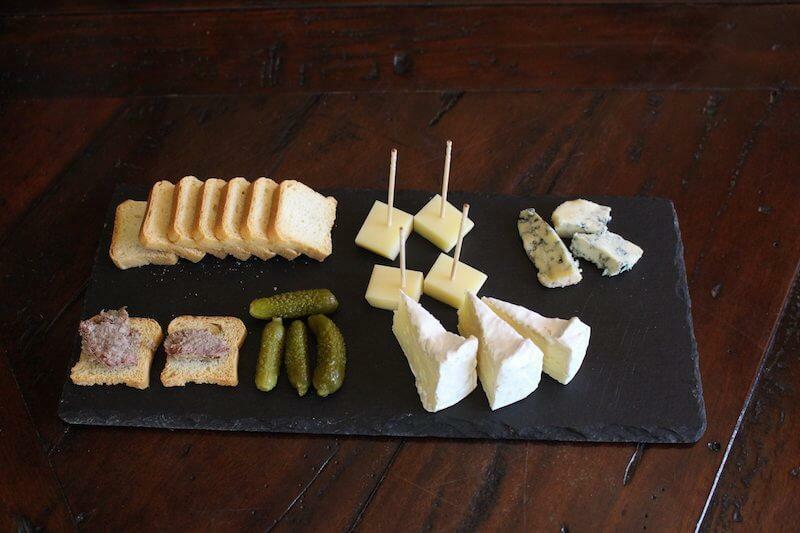 This "cheesemonger" club was a very memorable club to join, and for the price, provided great value. The fresh, delicious food delivered each month exceeded my expectations and did not fail to surprise! 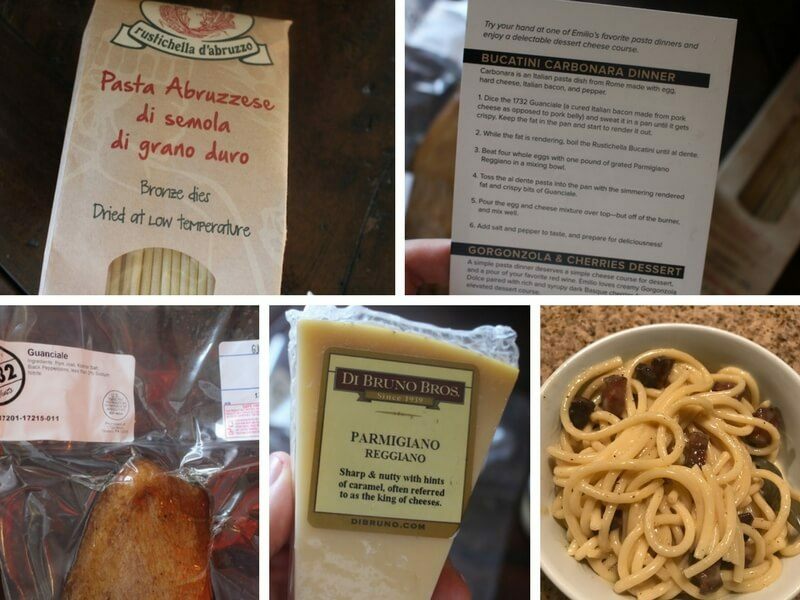 It would be a perfect gift for any food enthusiast, especially those with a penchant for cheese or Italian food. Personally, I prefer just the standard cheese of the month clubs because I like to learn about and snack on plain cheese. However, I can see how this type of club, with a wider range of artisanal food would appeal to some people. 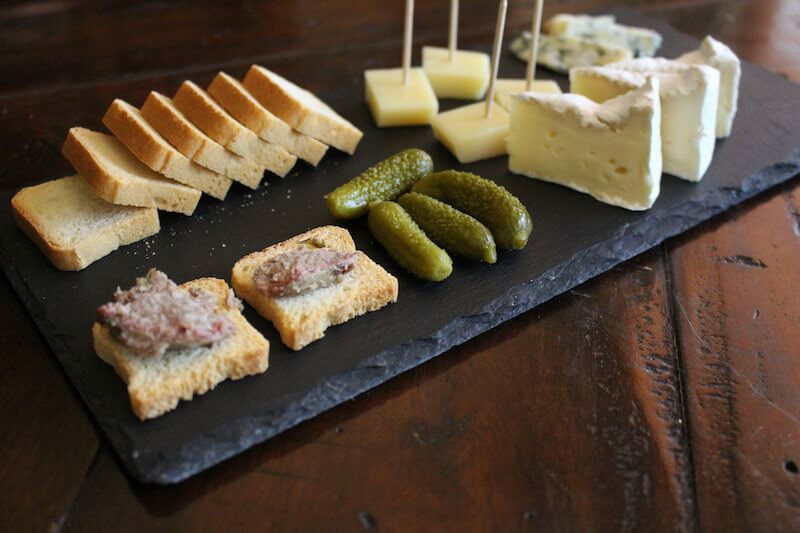 Why stick with just cheese when you can also have pâté, pickles, crackers, bacon, salami, and cherry jam! There are a lot of clubs available out there that will send you a cheese, wine, or charcuterie of the month. So much so, that it's taking months upon months for me to review all of them. But very few clubs attempt to what Di Bruno Bros are doing! With the Eat Like a Cheesemonger Club, you'll get a selection of offerings designed by Di Bruno Bros. VP of Culinary Pioneering Emilio Mignucci. Imagine that! A professional “culinary pioneer” will be hand-crafting a box of snacks that not only fit the season, but also pair well together. I was blown away with month #1. Everything included was incredibly delicious. All three cheeses included were large in size, and diverse in flavors. The snack pairings were interesting and unexpected. As you can see from the image above and below, they also made for great photographs representing the cheesemonger club because there's a lot to look at and talk about! I particularly liked the blue cheese included because it was very, very strong. 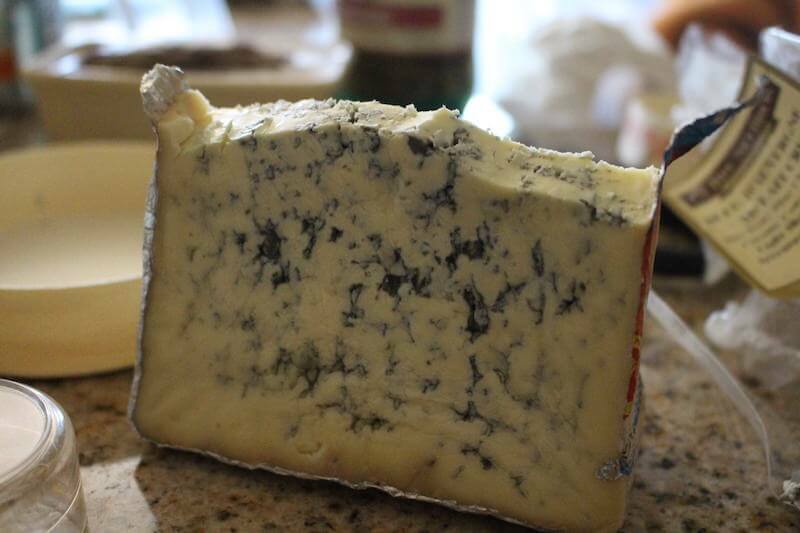 It had a very creamy consistency, unlike some of the rubberier types of blue cheeses that you can use to crumble on a salad or steak. It was that type of creamy, pungent flavor so strong that I was afraid to touch it because I knew it would be stuck to my fingers for hours after. Yum! However, the Camembert was a close second. This was also a creamy, strong flavor (though not as permeating as the blue cheese). It paired perfectly with the petits toasts and sour mini-pickles. I normally don't buy pate for myself, but do enjoy it, and this style was tasty! Everything was 100% above my expectations for this month. 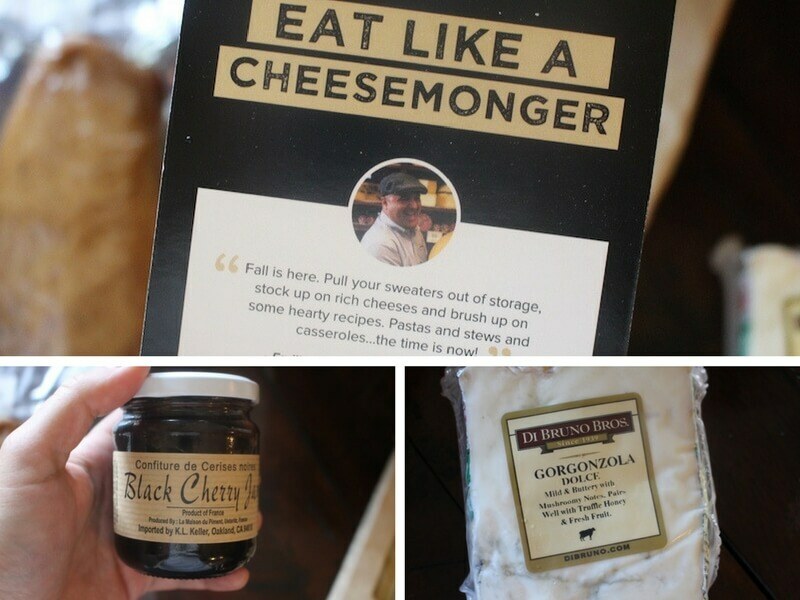 ==> Join Eat Like a Cheesemonger Here! Other unimpressive things included in the package were a cocktail snack mix and more pickles. I did really like the black truffle salami, but it was a small portion. The Lincolnshire Poacher cheese was good, but not amazing. The third delivery was very interesting, because it was a recipe! Making the recipe was a little difficult, because there was no picture and I had never made the dish before. It was called Bucatini Carbonara, which I guess is a popular Italian dish made with bacon/ham, egg, and cream. In this case, we used Guanciale, which is a fatty cured meat, and parmesan cheese. It turned out delicious despite me never having made it, though I don't know how authentic it tasted! Included in this package was a strong cheese called gorgonzola dolce. Wow, it was a powerful tasting cheese, and very creamy. However, that's exactly what I like! It tasted great with the black cherries, though they didn't say what I should eat it with as a “dessert”, so I just had it with crackers. Good enough for me. This was my second favorite package! I like the “snack” theme of the other ones, but making a delicious Italian meal with a few different cheeses was quite an experience. This is a tough call, since my opinion of shipment #1 and shipment #2 were so different. In month #1, I woulds say that the cheese selection was probably one of my all-time favorites, of any cheese of the month club I've ever joined. Super interesting, high quality cheeses. Plus, the blue cheese lasted a long time since it was so strong, and a large portion! However, the hard cheese from month #2 was not that great, and the cheese spread didn't even get finished because I normally don't keep crackers around the house for snacking. We'll have to wait for month #3 to make the “final call” on whether this club will be a keep or not. Sometimes, you can just get a one-off box that doesn't impress you, and other people may love milder cheeses and cheese spreads! Talking about price and quantity comparison Di Bruno doesn't guarantee how much cheese you'll get each month. 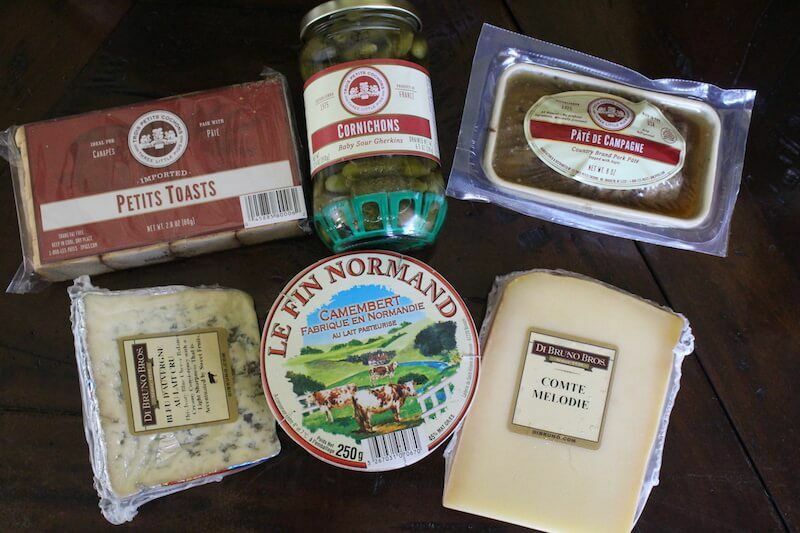 Unlike other cheese of the month clubs like the Gourmet Cheese Club which guarantees three 1/2 pound selections each month, you'll just have to wait and see what the cheesemonger decides to send you. Other cheese clubs run about $40 per month, including shipping. They also have promotional discounts and discounts for long term memberships, so the $70 per month flat fee that Di Bruno charges for their club is quite expensive. As mentioned above, when you get the right food items, the cost is unimportant! For a one a month treat, especially if you live in an area where you can't get a hold of these goodies, it can be well worth the cost. If you get some disappointing items though, you quickly become aware that for $70, you can buy a weeks worth of groceries! Most cheese of the month clubs don't come with food pairings, however, there is one other club that does this. Wine Down Box includes wine and food pairings for the cheese. However, they are a wine-focused club, not a cheese-focused club, thus, their shipments only come with one type of cheese. There is salami and crackers included. In comparison to Di Bruno Bros though, I much prefer the food from Di Bruno. There isn't a lot of variety in the Wine Down Box snacks, since they are an “addition” to the wine which most people join for. If you like artisanal foods and cheese, stick with Di Bruno, and just pick out your own wine at the store. It'll just take 5 minutes to look up “what wine pairs best with XYZ cheese” in Google. Who is the Eat Like a Cheesemonger Club Best For? If you have always wanted to join a cheese of the month club but don't know what you'd do with all that cheese, the Eat Like a Cheesemonger Club would be a great option. Instead of getting three chunks of cheese delivered to your doorstep, you get a full tasting experience from the world of hand-crafted snacks. Add a bottle of wine, and, you now have a wonderful evening activity for friends and family, at a much cheaper price that what it would cost to order the same items at a restaurant! This is also a perfect gift for your friend with a discerning palate. For someone that can appreciate the wide variety of cheese, breads, charcuterie, and other craft foods, the Eat Like a Cheesemonger club will not disappoint. Even if you are in it solely for the cheese, this club does a great job with their selections. Though I was not blown away by box #2, it was still good, and on par with my other favorite clubs. Sure, you pay a bit more to have the food pairings included, but it enhances the experience past just snacking on cheese. Wow, I really did like that páté from month #1. Yum! 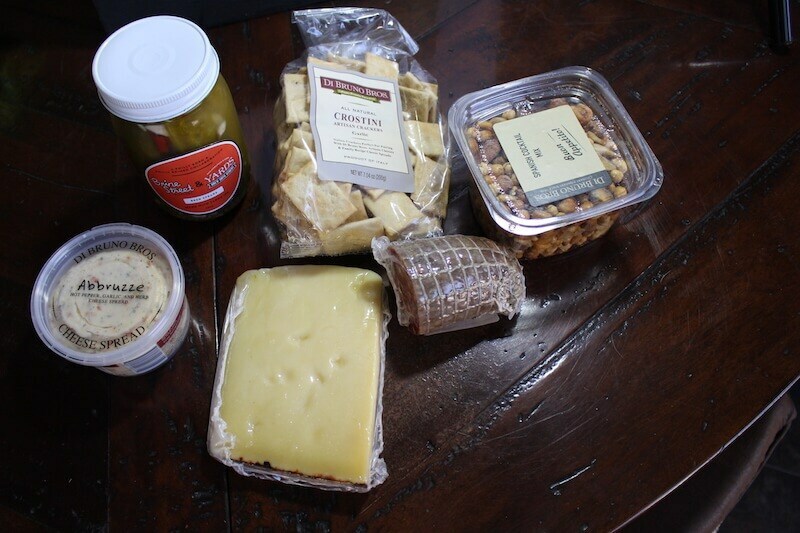 If the extra food snacks and extra cost are unattractive, I recommend you check out one of the other cheese of the month clubs I've reviewed. My current favorite is the one from MonthlyClubs.com, but there are some other good ones! Maybe you didn't know, but Di Bruno Bros also offer a few different club options. I haven't tried them, but they may be worth investigating depending on what you thought about my review of the cheesemonger club. Cheese Pairing Club: Cheeses, nuts, jellies, jams, crackers. $50/mo. 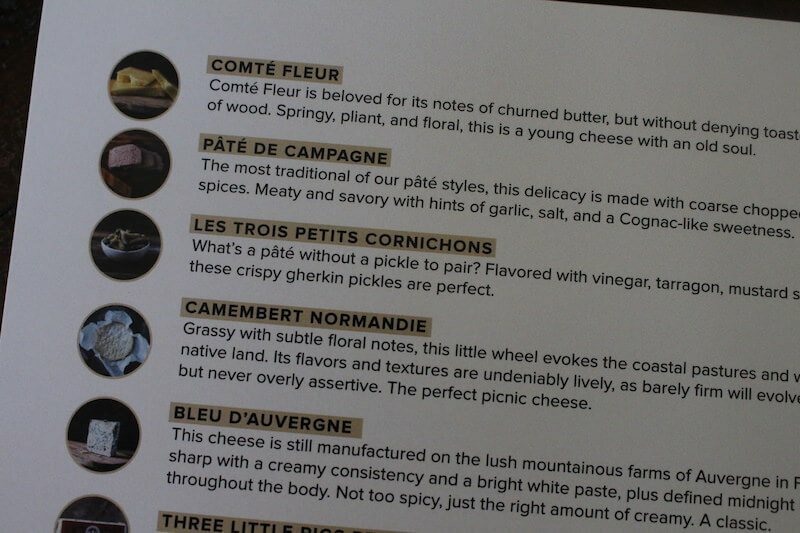 Compared to the price of $70/mo for the cheesemonger club, I think these are smaller “bites” for pairing, but I'm not sure! I'll update when I get a chance to taste test. 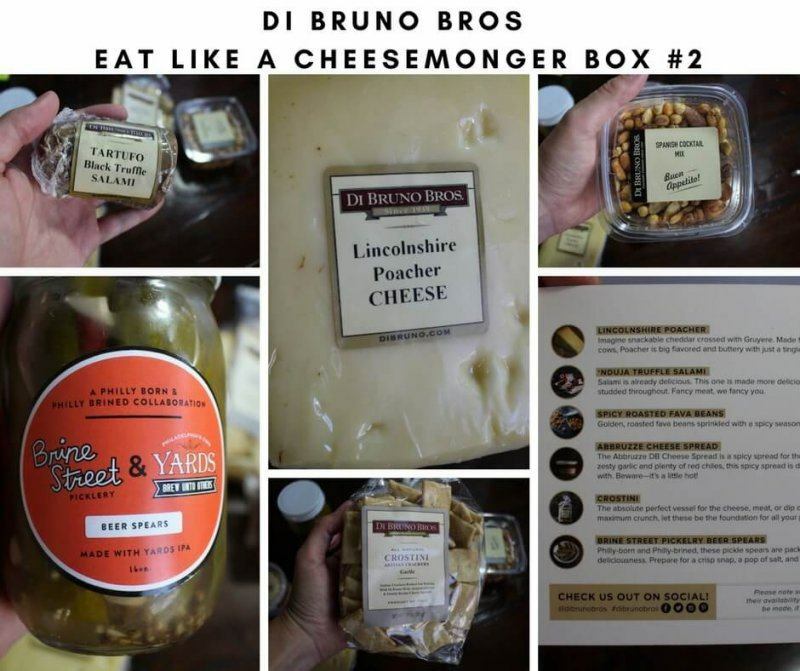 Gift baskets: Cheese, charcuterie, pairings, and themed baskets from Di Bruno. Lots of options!